Where's the margarita? Great shot. That is a Unique Umbrella - double U shot. Nice! Very cool umbrella, great U! Super "U", the most unique umbrella of the day! 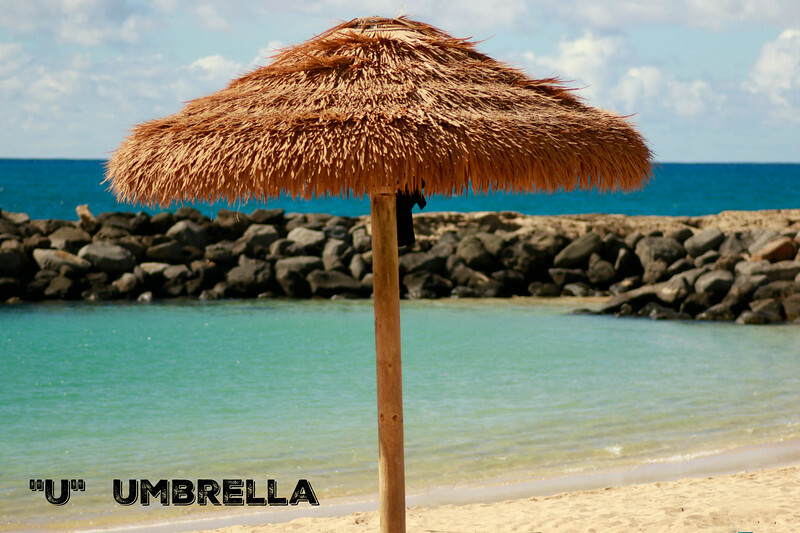 Love this thatched beach umbrella for 'U'! There have been other umbrellas for the U challenge, but none as wonderful as this, which reminds me of tropical beach vacations! Your umbrellas has a wonderful tropical vibe going.